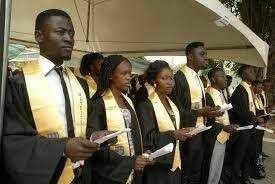 The management of Yaba College of Technology, (YABATECH) has announced the date for the Matriculation Ceremony of newly admitted students for the 2017/2018 Academic Session. All newly admitted students and the public area hereby informed that Yaba College of Technology, 2018 matriculation ceremony will hold on Thursday, 14th June, 2018. All newly admitted students of the institution are equally by this notice advised to ensure they pay up all necessary fees on or before June 12th, 2018. All students who are yet to pay their fee are advised to comply accordingly to this notice.